Publicly traded tech startups haven’t been doing very well lately. Groupon, and Zynga have both dropped more than 70% since their initial public offerings earlier this year. The world has been watching the public story of Facebook as well. The largest social network in the world debuted at $38 dollars a share and has since dropped 46%. Right now is a tricky time for tech startups turned public companies. For Angie’s list, the story hasn’t been much better. Except for the fact that Angie’s list debuted much lower than Groupon, Zynga or Facebook, they’ve still seen a steady decline since going public. Tuesday, Angie’s list stock closed at $11.17, which was below their IPO price of $13. The 16% drop on Tuesday was the single biggest decline for the Indianapolis based startup since they debuted on the stock market 9 months ago. Angie’s list is a marketplace for people to vet and find service workers. Carpenters, babysitters, plumbers and more can be found on the site. The Angie’s list community is filled with reviews from every service sector possible. Companies can’t pay to be on the list it’s all referral/review based and there are no anonymous accounts. Angie’s list also incorporates discounts of up to 70% off from the service providers found on the site. The company was founded in 1995 by Angie Hicks and William Oesterle and has remained in Indianapolis since then. 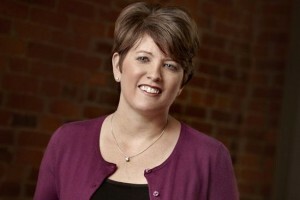 Angie’s List reported a loss of $37 million on revenues of $68 million during the first half of 2012.